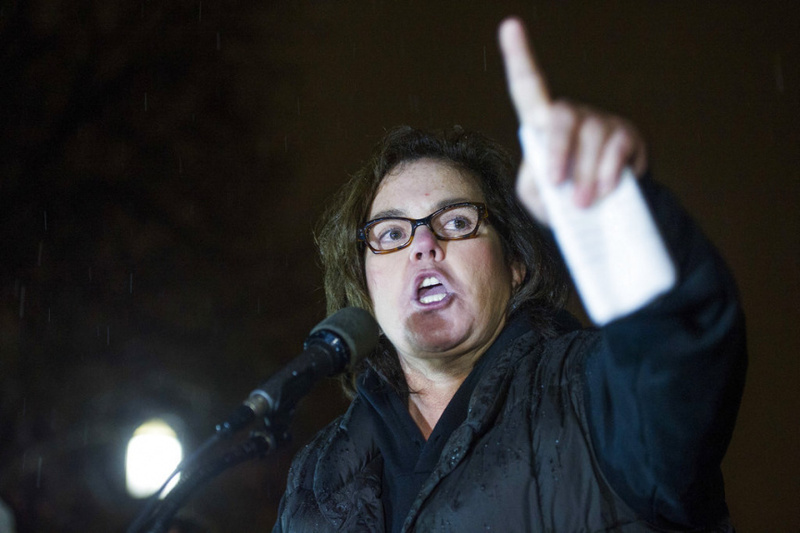 NEW YORK (AP) — Rosie O'Donnell and cast members from some of Broadway's biggest musicals plan to serenade President Donald Trump on Monday — but from outside the White House in protest. The group will sing "The People's Song" from "Les Miserables," Burt Bacharach's "What the World Needs Now Is Love," ''A Brand New Day" from "The Wiz" and "Climb Ev'ry Mountain" from "The Sound of Music" from Lafayette Park. The performers will be current and former Broadway cast members from "Wicked," ''Beautiful," ''Hamilton," ''Phantom of the Opera," ''The King and I," ''Les Miserables," ''Cinderella," ''Xanadu," ''The Producers," ''Head Over Heels" and more. The trip is organized by Seth Rudetsky and James Wesley, the host and producer of Sirius XM's "On Broadway." It will be livestreamed on the MoveOn Facebook page.